Measuring in at 22″ by 19″, this Orange Crush sign is rather large. The sign is white, orange, and black. 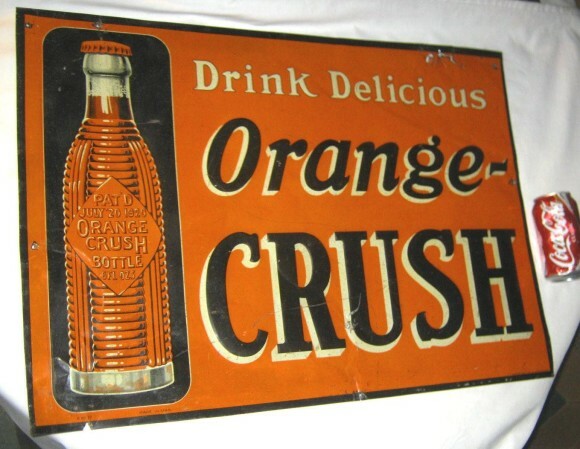 The text reads “Drink Delicious Orange-Crush.” There is a bottle of Orange Crush to the left side of the sign.